The secular Turks have taken a knee from their autocratic intolerant Muslim Brotherhood American/Israeli hater Erdogan. Turkish currency has imploded 40% this year, a blow to debtors in dollars and more acute to the banks that hold Turkish bonds. Oh how sweet it is says the American Devil to see an adversary to bleed like a beheaded goat. Could this happen to Erdogan? Maybe! What a sight it will be to this Napoleon wannabee running around with his head cut off. Turkey is being challenged on numerous fronts, but Erdogan runs with the mouth with conspiracy theories. The first being that Fethullah Gulen, who resides in Pennsylvania birthed the coup. Secondly, and this is the albatross, Turkey demands that the U.S. hand him over. Until then Erdogan is holding our man of the cloth – Andrew Brunson hostage. The vitriolic diatribe spewing from Erdogan’s mouth is the fodder that Trump relishes with vigor. 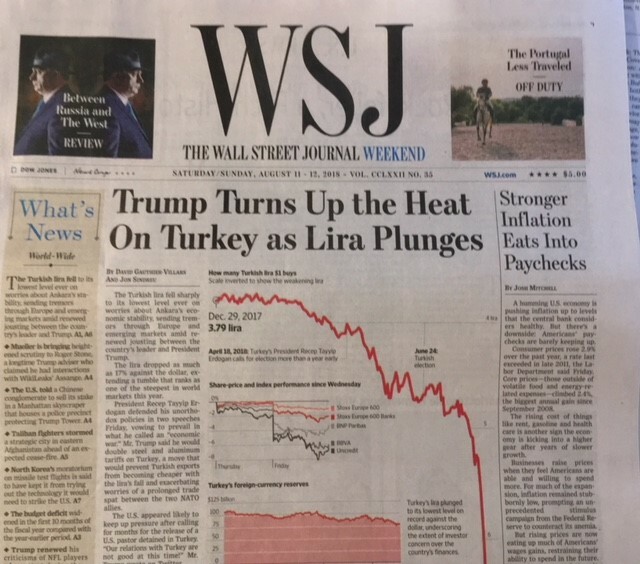 The Turkish lira is in a death spiral thanks to the diminutive wannabee Napoleon; small in stature and mind, this United States and Israel hater, has foamed at the mouth too many times. This has brought a crisis to the Turkish people who have seen their currency implode by 40% in the past few months, in fact by 20% last week. In the next year though the blood will start to flow as the economy, based on Euro and Dollar denominated debt, will implode faster than the tailspin of Greece during the financial crisis. As always the case the United States is the proverbial Bogeyman. Turkish President Recep Tayyip Erdogan has accused the US of trying to “bring Turkey to its knees through threats over a pastor“. 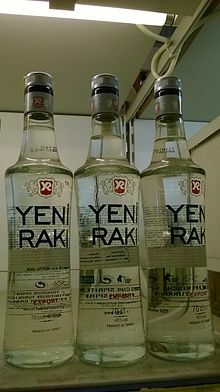 The diplomatic spat sent the lira down 16% against the dollar on Friday. Mr Erdogan also wrote in the New York Times that unless the US changed course, Turkey would look for new friends and allies. Turkey has detained Mr Brunson for nearly two years, accusing him of links to the outlawed Kurdistan Workers Party and the Gulenist movement, which Turkey blames for a failed coup in 2016. But the pastor is only one of a number of issues dividing the two Nato allies, including policy on Syria and Mr Erdogan’s growing ties with Russia. What are Mr Erdogan’s latest comments? He said: “It is wrong to dare bring Turkey to its knees through threats over a pastor. I am calling on those in America again. Shame on you, shame on you. You are exchanging your strategic partner in Nato for a priest. You can never bring this nation in line with the language of threats. The foam coming from this Muslim Brotherhood dog is beyond the pale. Just think of him criticizing our President and Country – he knows of no laws nor justice by clamping down on media enterprises, judges and police officers, not counting the purge of army officers after the coup. No trials, just jail and death. The Europeans have it right, rejecting Turkey’s entrance into the European Union (EU). What sets Europe apart from Turkey is their Islamic identity while Europe on the whole is Christian. And don’t forget that Turkey, mainly consisting of an Asian people, was an invading country under the Ottomans; Greece, Bosnia and Spain fell in their wake. That brings us to Turkey today. A NATO member under the iron hand of Islamist Erdogan who has no trouble stirring the pot of racism, constantly blaming others for his faults. It was inevitable, two of the grand standing countries, run by autocratic Muslims, would see their currencies implode faster than a meteor streaking across their horizons going head to head with the mother of all tornadoes. Iran’s currency is now in the midst of an extreme desert vortex sucking the life out of it. The desert kingdom, once known as the Persian empire is feeling the spirited wind of President Trump; the value of their currency vanishing under the sun is no mirage. Citizens are protesting en masse. Turkey, no friend of the United States, has run amok of the West; the result has been a whirlwind that has sucked up everything in its path. Hardest hit has been the implosion of their currency. There is no stopping its demise as the drooling Erdogan continues to lambaste the West and Israel. But soon, he will heel like the dog he is. His ascension to the Turkish presidency with unlimited powers has created a rift with NATO and particularly the United States. A schemer of all sorts, making love to Putin while on his knees, is taking Turkey down the third world path to devastation. Turkey keeps rates unchanged. It was not exactly clear how the inflation outlook with improve if the central bank will not increase rates, prompting some to ask if it was dictator Recep Erdogan – who has been vocally against highest rates and who recently made himself de facto head of the central bank – who wrote the statement. As a reminder, traders have been worried that after President Erdogan appointed his son-in-law to the Finance and Treasury, while taking more control over the central bank, his influence would prevent the central bank from hiking further, even if they gave him the benefit of the doubt. They are no very disappointed. Meanwhile, as a result of the aborted tightening, Turkey’s inflation is set to soar even more: June’s inflation data saw the Y/Y rate rise to 15.4% from 12.1%, the highest print in 15 years. Indeed, on Wednesday morning, even before word of the impending sanctions began to appear in US media, Turkish President Recep Tayyip Erdogan responded to earlier complaints from US officials—most notably President Donald Trump and Vice-President Mike Pence—about Brunson’s continued detention. The Iranian Mules (mullahs) are changing their turbans by the hour – sweat pouring out of them like a camel unloading in the desert heat. Other Iranians chose to yell out glorifying eulogies to the late Persian monarch Reza Shah Pahlavi, during whose reign Iran enjoyed a prosperous economy and secure living conditions. Addressing Iran’s intrusive regional policy and the spending of national resources on military excursions and ambitions for hegemony, some demonstrators affirmed that their lives are dedicated not to Gaza, nor Lebanon, but only the homeland Iran. US President Donald Trump announced on May 8 that the United States would withdraw from the deal—despite Iran’s continued compliance—and re-impose all sanctions lifted under the agreement because of perceived deficiencies in the deal including Iran’s pursuit of “destablizing and malign activities” that the United States and its allies oppose. What are the Trump administration’s stated goals for a new Iran deal? President Trump has claimed that the United States is open to a new agreement with Iran. Secretary of State Mike Pompeo on May 21 publicized a twelve-point plan aimed at making Iran a “normal” country by ending its uranium enrichment program, its ballistic missile program, and its support of militant proxies in the Middle East. In return, Pompeo offered a complete lifting of US sanctions and normalized diplomatic and trade relations. Many observers saw the plan as unrealistic and it was rejected by the Iranian government as a thinly disguised effort at regime change. What Iran sanctions will snapback on August 6? The United States will no longer import Iranian-origin Persian carpets and foodstuffs such as pistachios, and export or re-export commercial airplanes as well as services and parts. What companies have already left Iran? The Trump administration gave foreign companies and the foreign subsidiaries of US multinationals ninety days to wind down their business with Iran. In anticipation of the sanctions, over a dozen major companies have already left the country. They include Boeing, General Electric, Maersk, Peugeot, the Reliance refining complex, Siemens, and Total oil and gas. The Trump administration claims that over fifty international entities and firms have committed to leaving Tehran. What happens if a company doesn’t comply? The Trump administration has repeatedly said that it “will not hesitate” to penalize US and foreign businesses that don’t comply with re-imposed sanctions on Iran by blocking them from doing business in the United States. In June, US officials from the State Department and Treasury Department met with foreign counterparts in Europe and Asia to explain the new sanctions policy. The EU has promised to try to keep the JCPOA alive, despite the accord being in “intensive care.” It has sought to provide channels for trade to continue, but has conceded that it cannot force private businesses to remain in Iran. Several European countries—including Britain, France, and Germany—have also requested “broad exemptions” for their companies. However, the Trump administration has so far rejected these requests. What has been the impact in Iran? The Iranian economy, also burdened by corruption and mismanagement, has taken a nosedive since the US withdrawal from the JCPOA. While the Iranian currency has also gone into free fall. The rial is now worth less than 100,000 to the US dollar, although it has recovered slightly from an all-time low of 117,000 rials after President Trump offered to meet his Iranian counterpart without preconditions. The Iranian people will suffer under the weight of sanctions, while the Iranian government scrambles to find alternatives means to keep the country afloat. The Iranian government has shown no indication that it will surrender to the Trump administration’s demands any time soon. The upper echelons of the Iranian government also reacted negatively to Trump’s offer to meet, widely believing that they wouldn’t get anything in return and demanding that the US first return to the JCPOA. However, some Iranians don’t see the harm of President Hassan Rouhani talking to Trump. The diminutive Muslim Brotherhood Napoleon wannabe, authoritarian Islamist dictator is poking too many fingers in the eyes of NATO members, specifically the United States. We suggest that John Bolton and Mike Pompeo take President Trump’s advice by convincing our NATO allies that this Muslim Country ruled by fiat, Turkey, be given the heave-ho from the august body. Why would Christians defend a Muslim who is a Christian/Jew hater? Oxymoron to us. Put another way, does anyone in their right mind think Turkey would come to our rescue in the Mother of all wars against the tyrant regime in Iran. No way Jose! So there you have it; grind this POS back into the dirt he came from. For example: Turkey and the U.S. appear to sharply diverge on a host of fronts, including Turkey’s war against U.S.-allied Kurds in the Middle East and Ankara’s recent purchase of an advanced Russian missile system. Turkish President Recep Tayyip Erdogan has proved a worthy match for President Trump in frank and sometimes confrontational rhetoric. At one point, he all but threatened to fire on U.S. troops if they got in the way of Turkish military operations clearing out Kurdish positions in northern Syria. The threats concern the fate of North Carolina Pastor Andrew Brunson, who has been detained by Turkish officials based on allegations of terror and espionage. Trump tweeted Thusday that the “United States will impose large sanctions on Turkey” for keeping Brunson in custody. The Secretary of State had been involved in delicate negotiations in an attempt to free the 50-year-old pastor, who had been jailed for a year and a half on what the U.S. maintains are false charges connected to a failed coup attempt against Turkey’s President Recep Tayyip Erdogan. Turkey’s foreign minister told U.S. Secretary of State Mike Pompeo in their call on Thursday that Turkey “will not bow down to anyone’s threats”, a foreign ministry source said, after President Donald Trump threatened to slap sanctions on Ankara. The bottom line here comes down to when, not if, will the United States take the necessary action by convincing NATO members that Turkey is a threat to all of them. The truth is the truth, Turkey is now a dictatorship run by a ruthless demagogue on par with Castro, Stalin, Chavez, Ortega, Madero and the rest of the cheap suits. The coup d’etat in Turkey is fresh in our memory. There are those who contest the word coup and they may have information to justify their take on what really happened. As we said, many Turks believe this was a setup by Erdogan – so he could take control over the levers of government. And in the aftermath of this so-called coup he did just that. Closing down opposition media organizations, rationalizing the military and jailing independent judges. Since the coup attempt Turkey’s Erdogan has gone on a rampage in Syria and against the Kurds living in Turkey. He blames them for the ills Turkey is facing. Also, Erdogan has belligerent words for the Greeks who control part of the island of Cyprus. (see below) But his number one nemesis is Israel. There is no love lost between the two. Lately, Netanyahu and Erdogan have exchanged fighting words. Israel has Erdogan’s number and is not afraid to play it. Turkey, a member of NATO, big mistake was made in letting him join the exclusive club, has taunted the United States and its allied members by breaking bread with Russia and Iran. The time has come to take him out – Grub Hub is ready to deliver the package. With John Bolton in control it won’t be long before the Muslim’s head starts to roll. From the West’s perspective, the Turkish government is the equivalent of a close relative with a substance abuse problem: President Recep Tayyip Erdogan has become addicted to authoritarianism. The effects on the family — in this case the NATO alliance, which has included Turkey since 1952 — are devastating. It’s time for President Trump and French President Emmanuel Macron, two leading NATO heads of state, to have a clarifying conversation with Erdogan about his country’s self-destructive impulses. Trump has shown patience with Turkey’s ongoing military operation against Kurdish militias in northern Syria, which Erdogan considers an existential threat. This should make the Turkish leader more inclined to listen to the U.S. president. However, so far Israel has stayed on the side lines, but in short order will be losing its patience; this means that they most likely will support the Kurdish opposition going forward. (from Wikipedia)Cyprus was settled by Mycenaean Greeks in two waves in the 2nd millennium BC. Cyprus was placed under British administration based on the Cyprus Convention in 1878 and was formally annexed by Britain in 1914. While Turkish Cypriots made up 18% of the population, the partition of Cyprus and creation of a Turkish state in the north became a policy of Turkish Cypriot leaders and Turkey in the 1950s. Turkish leaders for a period advocated the annexation of Cyprus to Turkey as Cyprus was considered an “extension of Anatolia” by them; while, since the 19th century, the majority Greek Cypriot population and its Orthodox church had been pursuing union with Greece, which became a Greek national policy in the 1950s. Following nationalist violence in the 1950s, Cyprus was granted independence in 1960. In 1963, the 11-year intercommunal violence between Greek Cypriots and Turkish Cypriots started, which displaced more than 25,000 Turkish Cypriots and brought the end of Turkish Cypriot representation in the republic. On 15 July 1974, a coup d’état was staged by Greek Cypriot nationalists and elements of the Greek military junta in an attempt at enosis, the incorporation of Cyprus into Greece. This action precipitated the Turkish invasion of Cyprus on 20 July, which led to the capture of the present-day territory of Northern Cyprus in the following month, after a ceasefire collapsed, and the displacement of over 150,000 Greek Cypriots and 50,000 Turkish Cypriots. A separate Turkish Cypriot state in the north was established by unilateral declaration in 1983; the move was widely condemned by the international community, with Turkey alone recognizing the new state. These events and the resulting political situation are matters of a continuing dispute. As we headed into the Easter weekend, Turkey’s little runt ran his diarrhea mouth once again. Has the Muslim Dog bit off more than he can chew? Will he suffer from a chemical infusion sometime in the future? Only Israel’s Mossad knows. They know how to return the favor. Prime Minister Benjamin Netanyahu blasted Turkey’s President Recep Tayyip Erdogan on Sunday for calling Israel’s actions on the Gaza border “inhumane,” saying this must be the way they celebrate April Fool’s Day in Turkey. BEIRUT – Turkish warplanes struck pro-Syrian government forces in the northwestern Afrin region of Syria on Saturday, killing at least 36 of them, the Syrian Observatory for Human Rights said. It said this was the third time in 48 hours that Turkish warplanes had struck pro-government forces that entered Afrin last week in support of the Kurdish YPG militia as it fights to stave off an offensive by Turkey and allied Syrian militias. At least 36 pro-Syrian government troops have been killed by a Turkish air strike in the region of Afrin, a monitoring group says. The strike targeted a camp at Kafr Jina in the northern Syrian region, the Syrian Observatory for Human Rights (SOHR) said. The pro-government troops entered Afrin two weeks ago to back Kurdish forces. They are fighting a Turkish military offensive that was launched to clear Kurdish groups from Afrin. Turkey considers the Kurdish militiamen there terrorists. 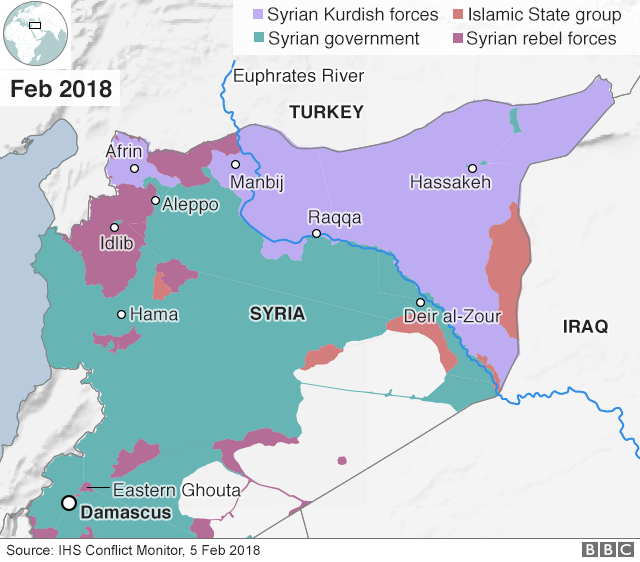 The Syrian government has denounced the offensive as a “blatant attack” on its sovereignty and, according to state media, forces were sent in to support the Kurds. The air strike followed one of the bloodiest days for Turkish troops since they began the offensive in January. Eight Turkish soldiers were killed and another 13 were injured on Thursday in fighting in Afrin. Five “heroic comrades fell as martyrs and seven were wounded”, an initial statement from Turkey’s military said. A second statement announced three more soldiers had been killed and six more wounded. No official details of the clashes were given but the private Dogan news agency said Kurdish fighters used tunnels to ambush Turkish special forces in the Keltepe district. A Turkish helicopter sent in to rescue the wounded was hit and had to turn back, the report added. Thousands of civilians in Afrin have fled their homes since Turkey’s offensive began. The Turkish government says the Kurdish People’s Protection Units (YPG) militia is an extension of the banned Kurdistan Workers’ Party (PKK), which has fought for Kurdish autonomy in south-eastern Turkey for three decades. The YPG denies any direct organisational links to the PKK. Neither side has released much information about fatalities, making the death toll in Afrin difficult to gauge. The UK-based SOHR says more than 141 civilians have died but Turkey denies this, saying only combatants are targeted. Last month, Amnesty International said indiscriminate shelling had killed scores of civilians in Afrin. When pro-government militia forces edged into Afrin last month, it wasn’t clear what their strategic purpose would be. Videos showed a small group of militiamen being welcomed to Afrin city by Kurds there as their saviours. But it didn’t seem likely that they would play much more than a symbolic role, allowing the Syrian government to vaunt a new territorial initiative but at no major risk. 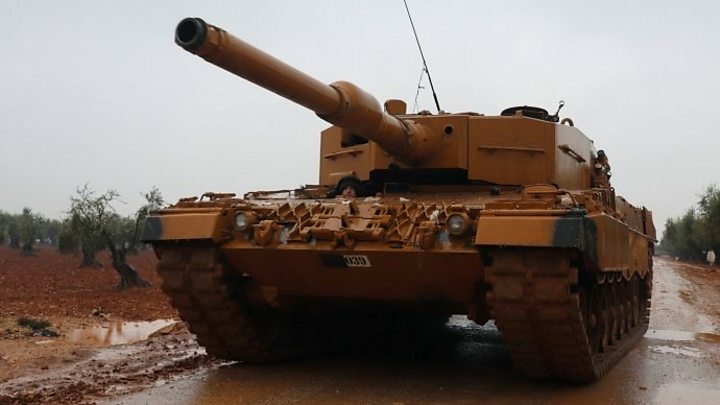 In fact, it seemed that it might be a way of de-escalating the latest conflict in Syria after Turkey launched its operation against Kurdish fighters there. A deal to allow the Syrian government to take over much of the control of the area might suit many of the parties involved. It might even be a less bad option for Turkey, allowing it to turn down the intensity of its offensive. But if the reports are true that pro-government forces have been badly hit by Turkish airstrikes, that would appear to undercut this interpretation, raising the prospect of yet another new flashpoint in Syria. Secretary of the Russian Security Council Alexander Venediktov told Ria Novosti. “The return of peace and stability to Syria is hampered by continued external interference in the Syrian crisis. For example, in the territory controlled by the people’s self-defense units of Kurdistan, some 20 US military bases have been created,” the official said. According to the Russian official, US interference in the Syria conflict “provoked Turkey’s military operation” targeting Kurdish militias in Afrin. DEBKAfile: The 20 US bases in Syria were first reported on Jan. 11. The rerun of the report supports Moscow’s campaign against the US military presence in Syria, which claims that it is illegal, whereas the Russian military was invited by the “legitimate” Assad regime.